Consume: X. 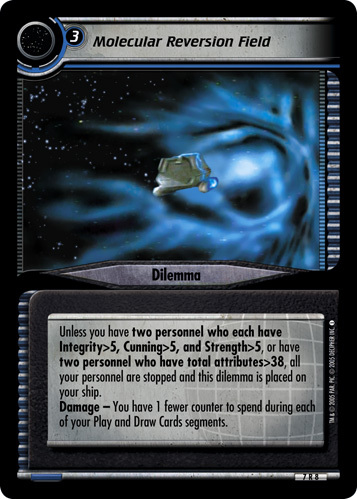 (Your opponent places the top X cards of his or her dilemma pile face up beneath this mission.) 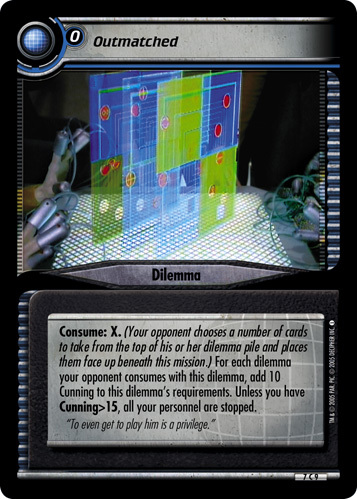 For each dilemma your opponent consumes with this dilemma, add 10 Cunning to this dilemma's requirments. 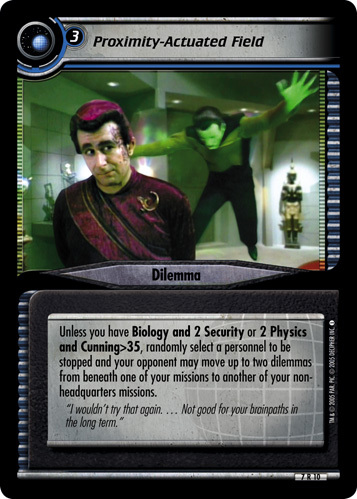 Unless you have Cunning>15, all your personnel are stopped. "To even get to play him is a privilege."